There are eco-friendly holidays popping up all over the place right now, and if you’re thinking of making a green getaway this year you’ll enjoy our useful guide to five of the best eco-travel ideas. 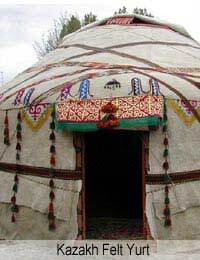 A yurt holiday is a good idea for people who like the thought of camping but are not so keen on being exposed to the elements in a flimsy tent. Chic and unique, domed yurts are appearing in many areas of open countryside in the UK and overseas, and offer basic but stylish living accommodation. You’ll get a bed, a wood burner and maybe even your own barbecue area – everything you need to enjoy this oh-so-cool way to camp out. You can’t get a lot more eco-friendly than a good old fashioned camping trip. There’s nothing like pitching your tent in a beautiful spot, lighting a camp fire and getting back to nature for a few days. Camping offers the perfect chance for you to leave phones, laptops and hair straighteners behind so you can focus on you and your loved ones. Yes, you’re at the mercy of the elements, but that’s all part of the fun. Eco-chic safari lodge holidays are becoming widely available in many countries and often rely on your visit to improve the local community. A safari is a great way to see and experience a totally different holiday alongside people who naturally live a sustainable lifestyle. Not only will you be able to contribute to this lifestyle by helping out around the lodge, but you’ll also see some amazing wildlife to remind you that there’s a lot more to life than your nine to five. If you fancy feeling the wind in your hair while burning off those extra holiday calories, why not try a cycling holiday? This is a great way to discover some beautiful parts of the world, and it’s also a cheap way to travel. This is a holiday that the whole family can enjoy, and you’ll find lots of specialist tour operators online. If you like to muck in and end the day with a healthy rosy glow, why not go for a holiday on an organic farm? These fantastic breaks enable you to get involved in the day to day running of a farm, helping you to see where you can make a real difference. The wholesome organic meals you’ll enjoy will be the icing on the cake. If you like to holiday alone this is a good trip for you – you could make friends for life. There are lots of different ways to holiday without adding to the damage we’ve already done to our planet. Luckily the idea of eco-travel has really caught on, so you’ll no longer struggle to find tour operators running these kinds of holidays. Whether you put together your own package or go for a ready-made trip, taking an eco-friendly holiday is the perfect way to switch off responsibly.